Have you feel bored or tired of the Android function and ready to jump into Apple platform? or have plan switched to an Apple iOS platform from Android? However, you have concern on transferring personal data, downloaded apps, and other information from Android to Apple. Don’t worry. If you’re trying to find out how to do so, here have a simple guide on using Move to iOS app to help you get your content and data, including images, messages, accounts, and more over to your new iOS device. You must update your Google Chrome to the latest version on your Android device if you wish to transfer bookmarks. 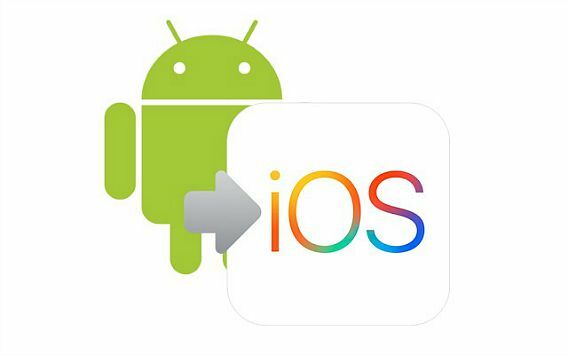 Head over to Google Play Store on your Android device, install Apple’s new “Move to iOS” app. Once done, launch the app and going over the basic information. Tap agree to continue and tap Next button in the top right corner of the Find Your Code screen. You will be asked to enter a code which can get it from your new iPhone or iOS device. 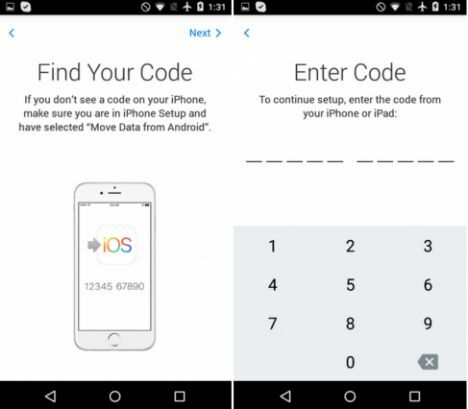 Setting up your new iOS device, head over to Apps & Data screen and just select “Move Data from Android” to receive your ten digit code. Enter the code on your Android device and then choose the content you’d like to transfer and click Next. Now, leave both devices alone and wait for the transferring data complete. It might take few minutes to process, depending on how much content you’re needed to moving. After loading bar showing finish on your iOS device, tab Done on your Android device and click Continue on your iOS device.